Hi I'm Mariko. Welcome to JAPAN! I offer you several chances to experience Japanese culture in a Japanese home. I used to be an experienced tour leader, having many years of experience traveling across Japan. I'll be happy to help you with detailed and valuable information, answer your travel-related questions, provide a itinerary and destinations. I will try my best to make your trip enjoyable and memorable! Fantastic way to spend a day and learn lots of different things. Our host was so lovely and her daughter, her mother and herself made us feel so welcome in their home. It was a great experience, i really enjoy it. unlike going to disney or shopping in tokyo, this one stop experience gave me opportunity to stay with a japanese family, in their house, for half a day, interacted with them face to face, did specific activitis related to their culture. Each activities gave me a taste of japan and travel like a one day exchange student, more in depth experience than just a shopper or a landmark stop by traveller. i will really recommand my friends to go. PS， i really appreciated the food, really awesome, a family style in above average hotel quality and taste. And they taugh me how to make it too. Even though i am sure i cannot repeat such wonderful meal on my own. This was one of, if not the most fun, tour of my entire trip to Japan. I loved it and find myself showing off my origami skills to anyone who will pay attention. I best part was the attention to detail and the opportunity to ask questions. I have practiced making gyoza since I came back as well. Now, I should add that my favorite meal (of all meals) is Chicken Katsu Curry and when I mentioned my failed efforts at finding the perfect and particular spice that is in use to make the curry sauce, Mariko answered that question and then took a step further. She showed me the spice, provided it as gift and delivered in email the directions in how to make it. Wow! Now every time I make the curry sauce following the provided instructions I think of this experience with a happy grin on my face. This experience really meant a lot to me. My brother and I had a great time. I recommend this experience to anyone and everyone. I was gaining confidence with her helpful assistant and found all experience's enjoyable interesting and beneficial which I can apply to my modern lifestyle. Great experience and the wonderful food what more can you ask for. 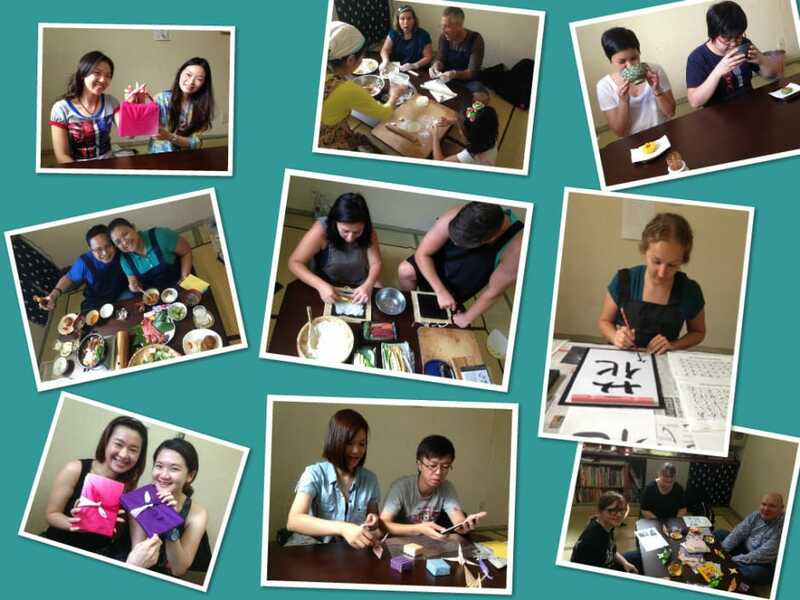 Mariko and her mother were the perfect hosts for our day of calligraphy, origami, and cooking and eating! 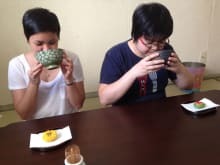 We highly recommend this experience to our friends and to any traveler visiting Japan.